VISITORS to the final Balmoral Show in Belfast will be able to combine agriculture with app technology thanks to a new smartphone feature designed by a South Belfast digital firm. 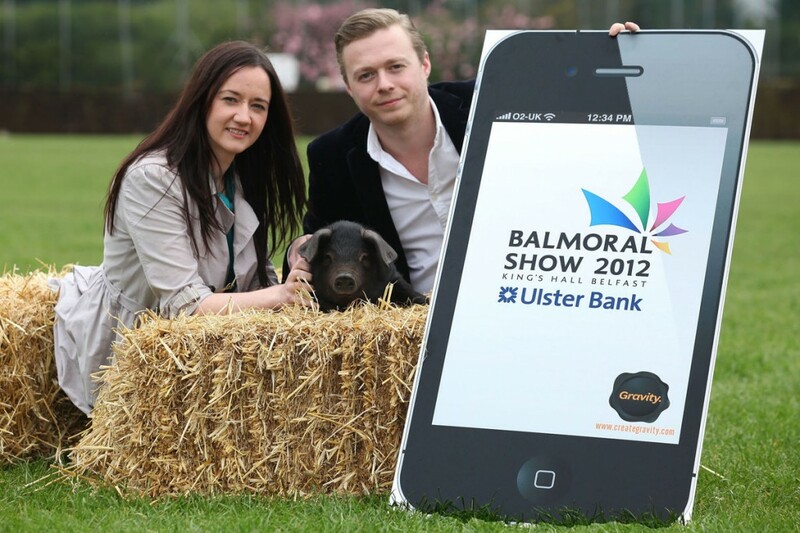 The Balmoral Show app contains maps of the sprawling site and information on events and competitions, which users can view on their phones during their visit. This year is the last time the show, held by the Royal Ulster Agricultural Society, will take place in the grounds of the Kings Hall, as organisers aim to hold it at the site of the former Long Kesh prison outside Lisburn, from 2013 onwards. However, it is hoped the new app which has been specially produced for the three day event next month, will ensure visitors will get the best from their last trip to Balmoral which attracts farmers and other agricultural workers from across Ireland. The app is designed by up-and-coming digital design firm Gravity, based in the Springboard Business Centre near Belvoir, and is available free through phone app online stores. It will allow users access to show results the moment they are announced, as app creator Dravin McConville explained. Tracey O’Toole of the RUAS said that despite people’s perceptions, the farming community who attend the South Belfast annual event are up to speed with digital technology. “Our aim is to keep the Balmoral show as up to date and as accessible as we can,” she said. The final Balmoral Show will take place between May 16 and May 18.